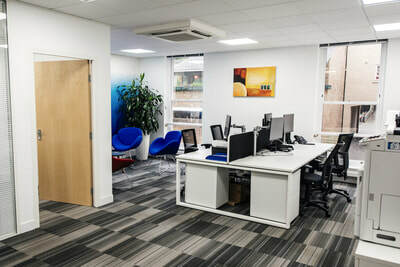 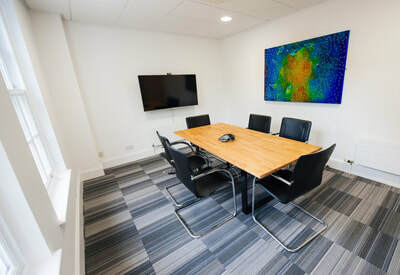 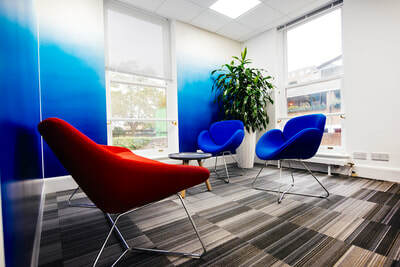 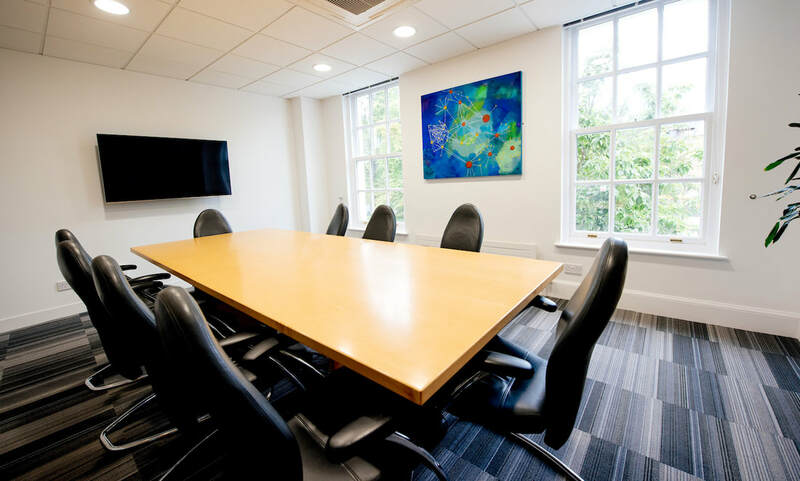 We know that a great workplace is one that mirrors your business’ values, so we only create cutting edge and cost effective office interior design concepts that are unique to your business. 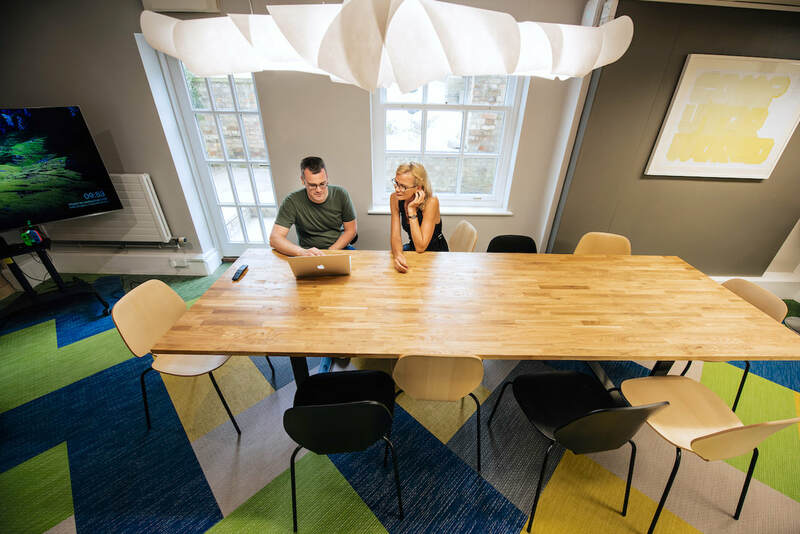 Your workplace is a business asset - which must communicate, inspire and engage. We find that immersing ourselves in your world enables us to understand your business challenges and workspace limitations. 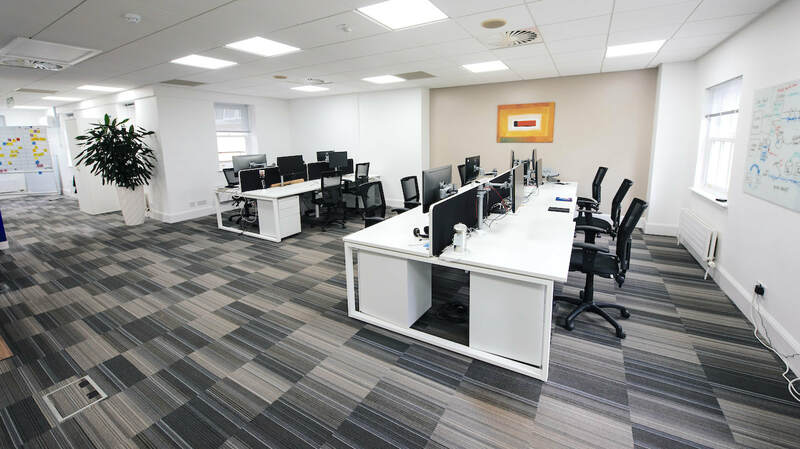 This allows us to produce office interior design ideas which are innovative and inspirational. 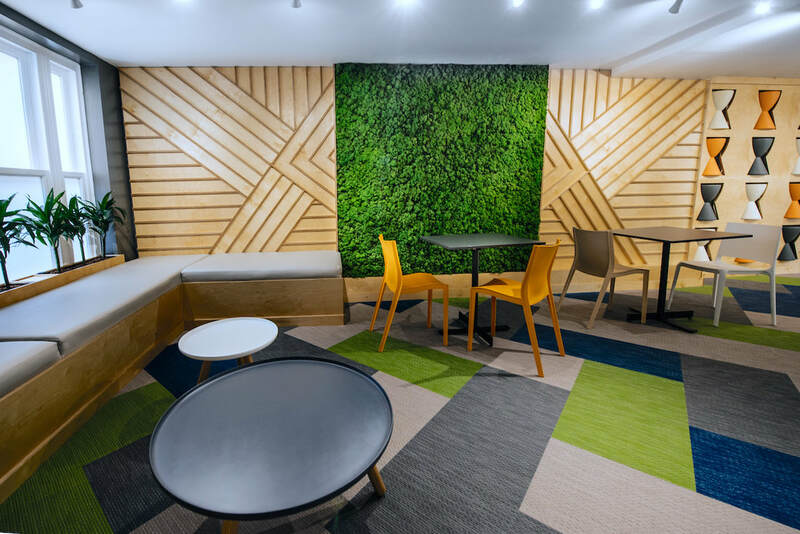 Did you know what a well designed office interior can elevate the productivity of your staff by 25% and boost your business efficiency. 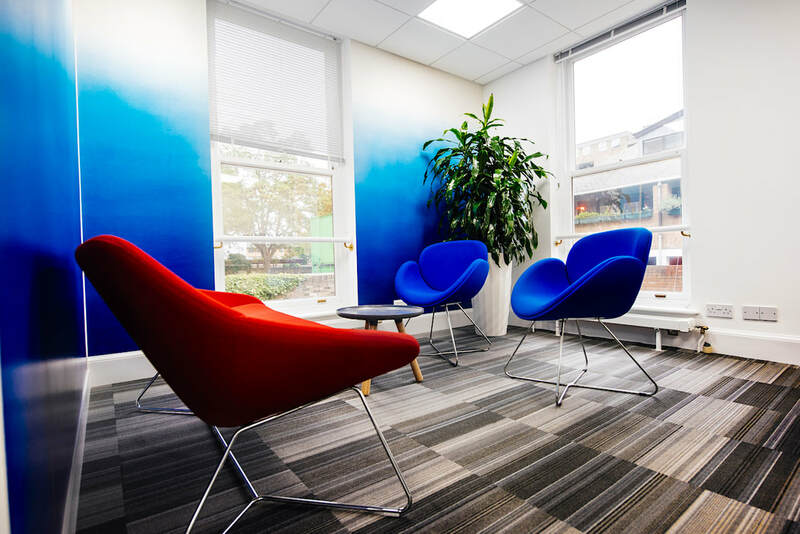 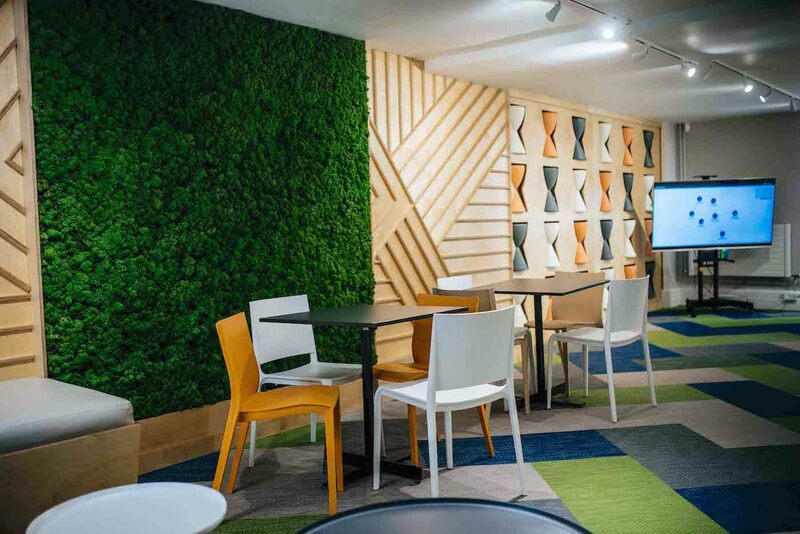 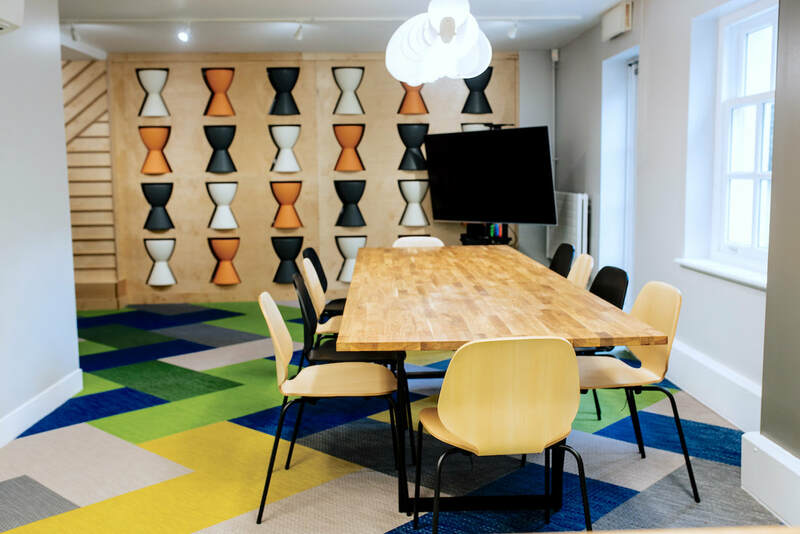 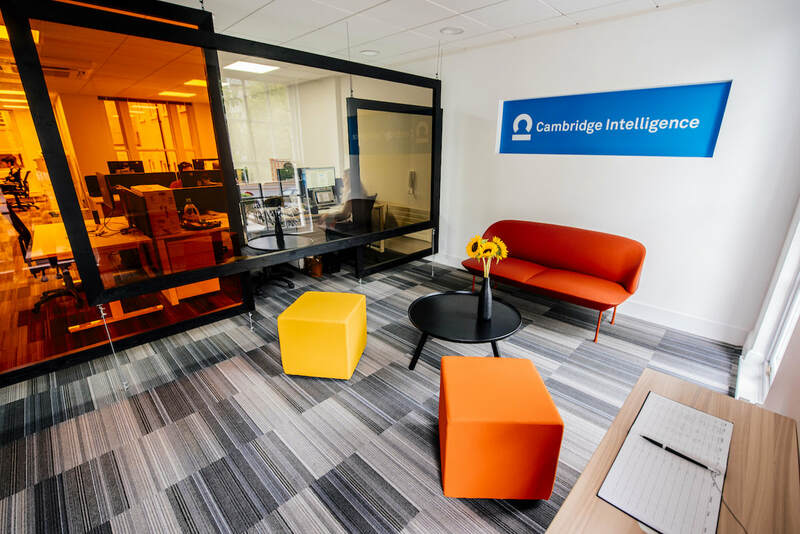 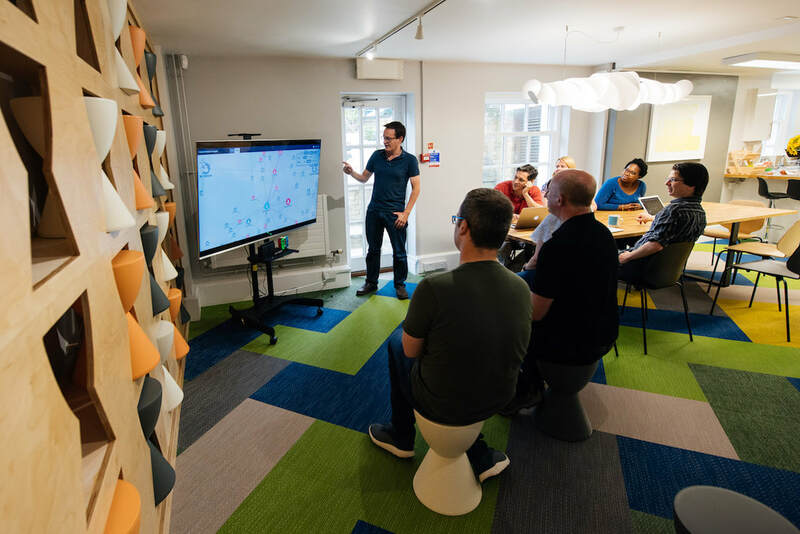 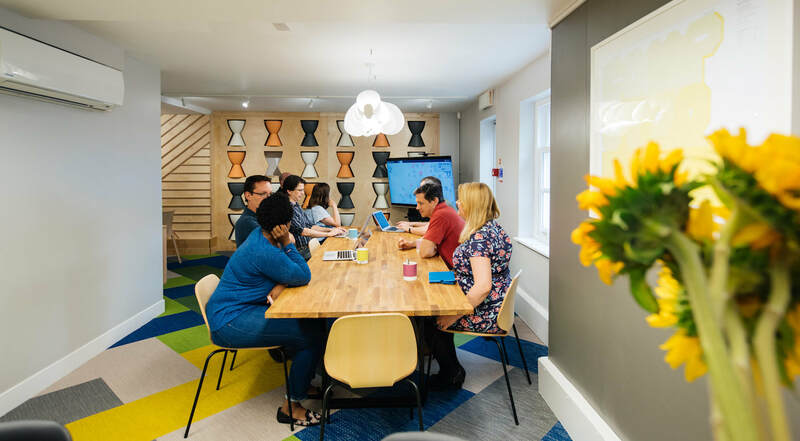 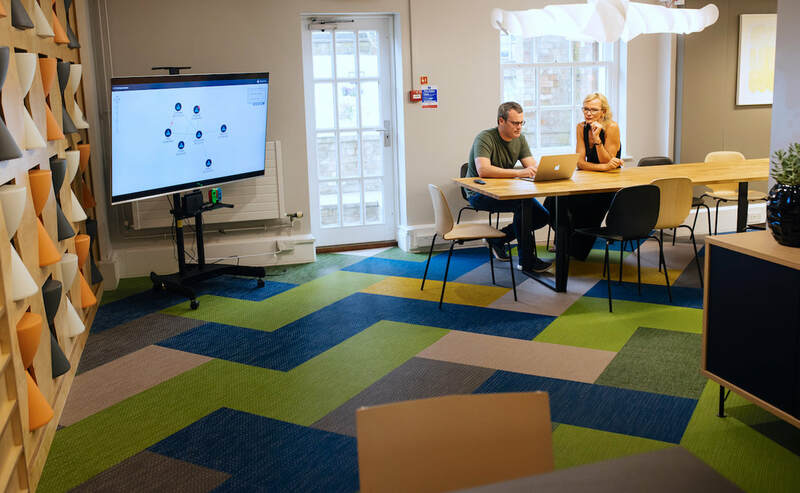 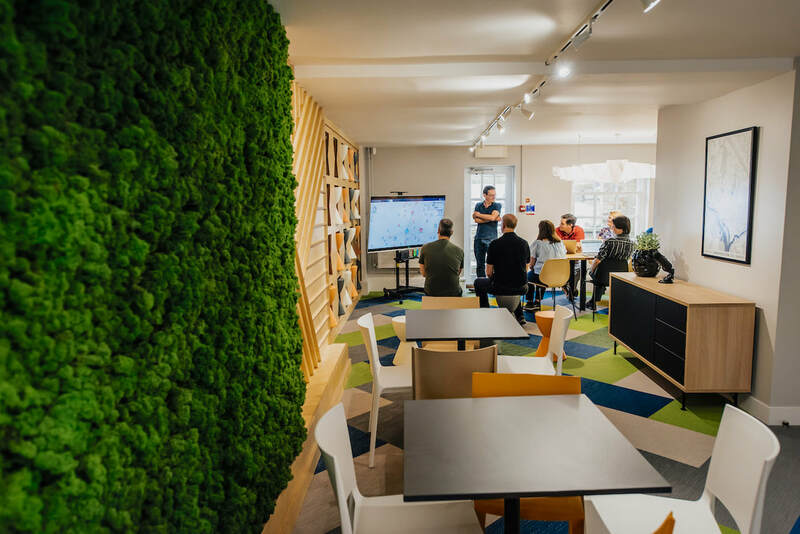 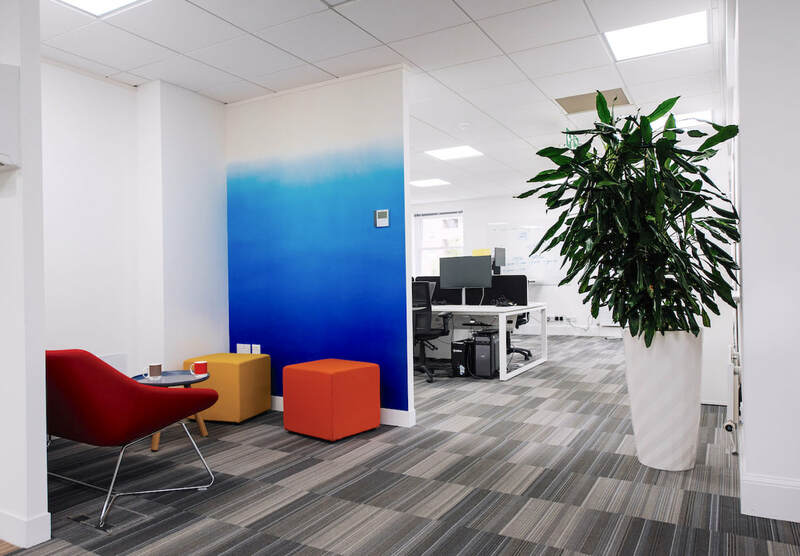 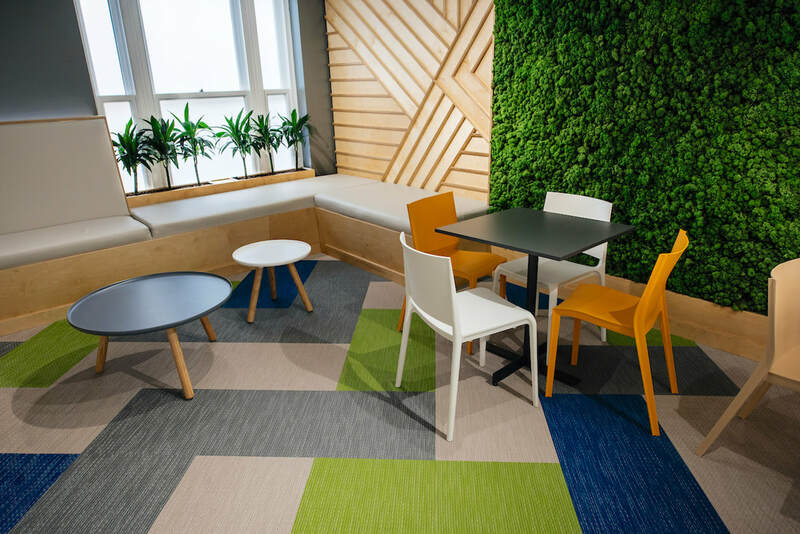 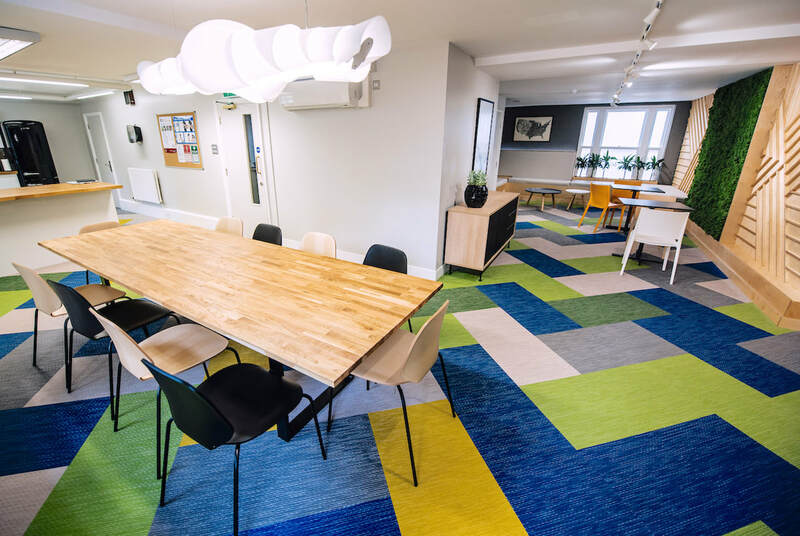 As professional interior designers, we pledge to create a workspace that will help to reinforce your brand identity in order to promote your services and product, and attract a higher quality workforce. 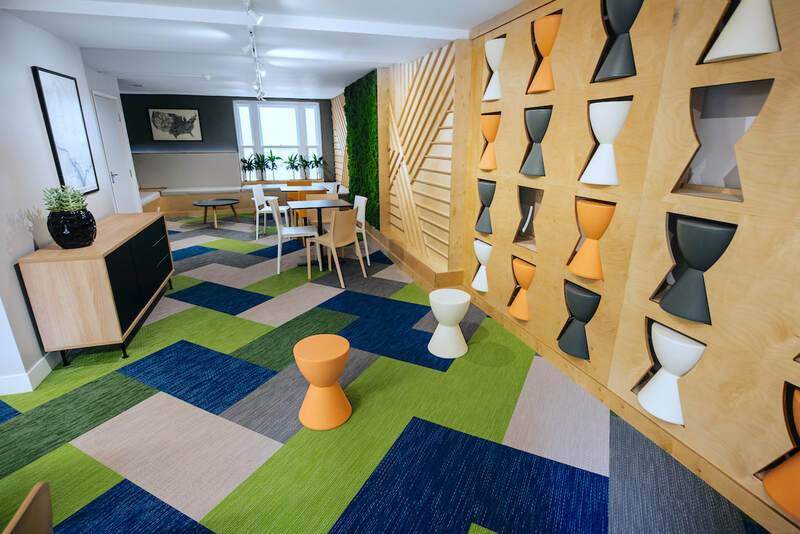 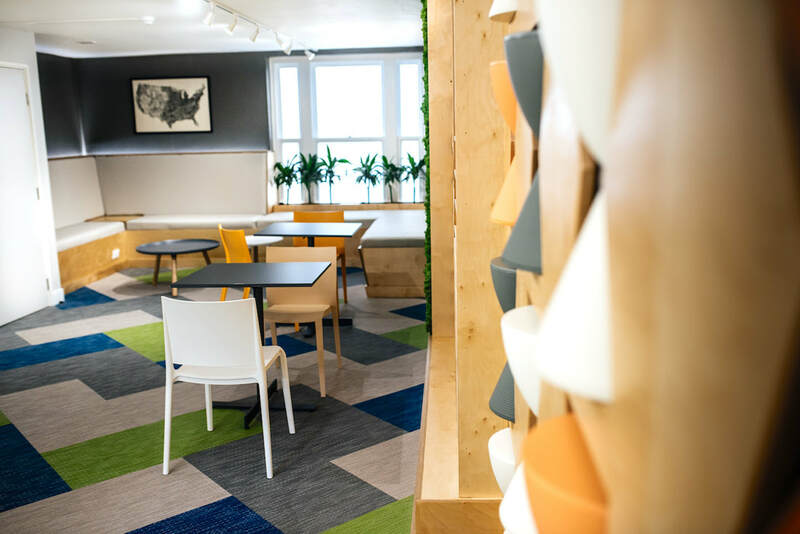 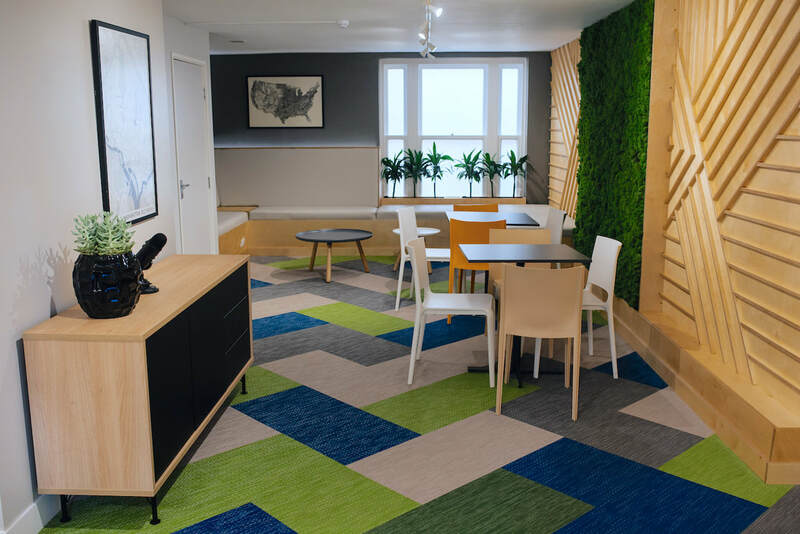 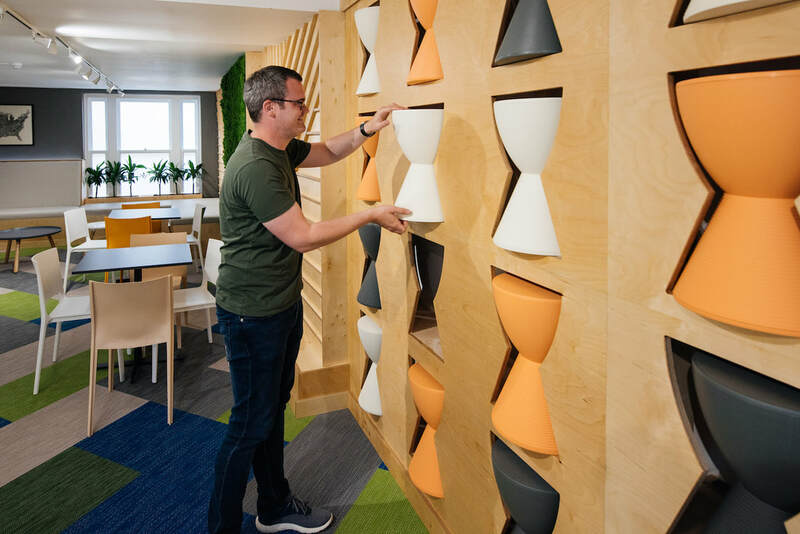 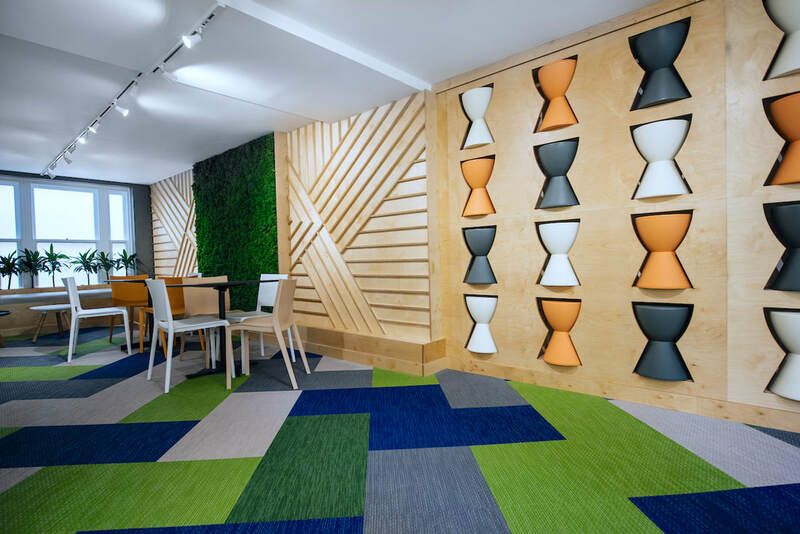 Founder and experienced lead interior designer at AZ Interiors , Alicia Zimnickas offered something fresh and new compared with other office design experts. 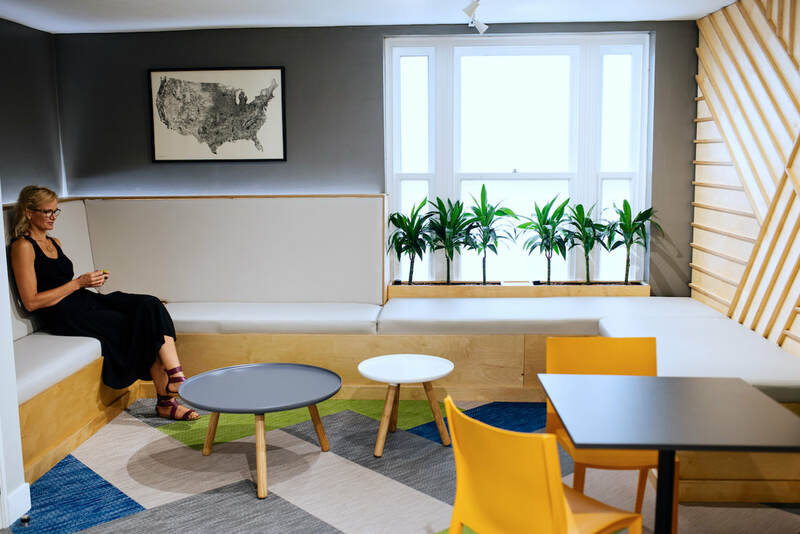 She was excited by the design brief: to create somewhere cool for the team to work and relax, not just to impress visitors (although that too). 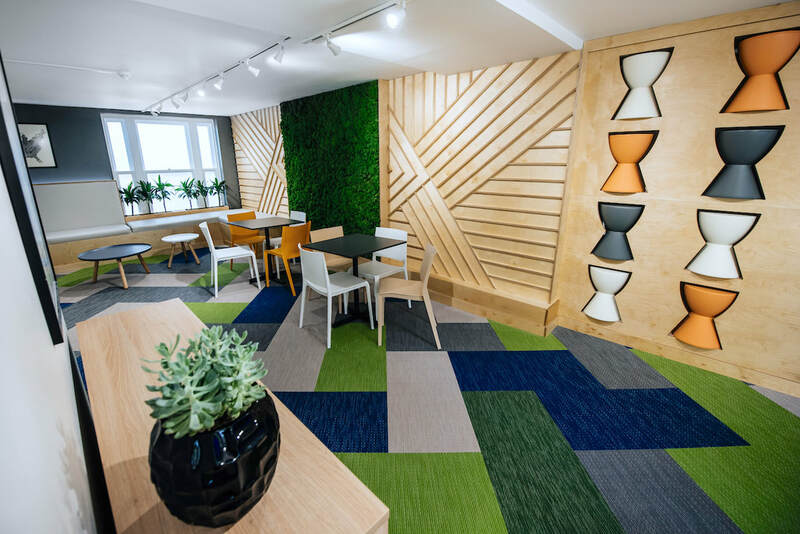 Her greatest challenge was transforming the dark, L-shaped basement. 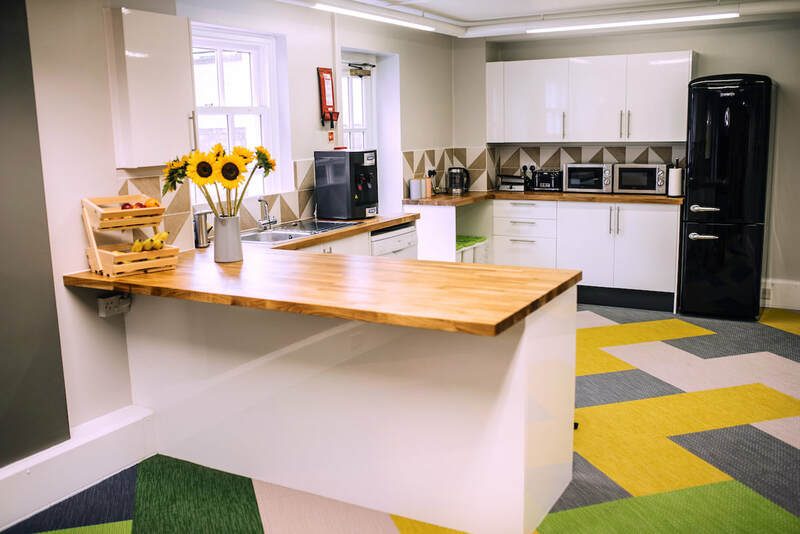 The team use this space for lots of things – a place to prepare food and eat lunch together, but also hold meetings, run company social events (think movie nights and computer gaming competitions), and host local meetups for up 40 people. 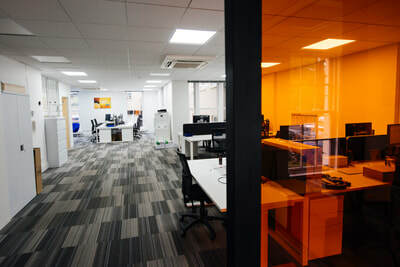 The other floors benefited from the design treatment as well. 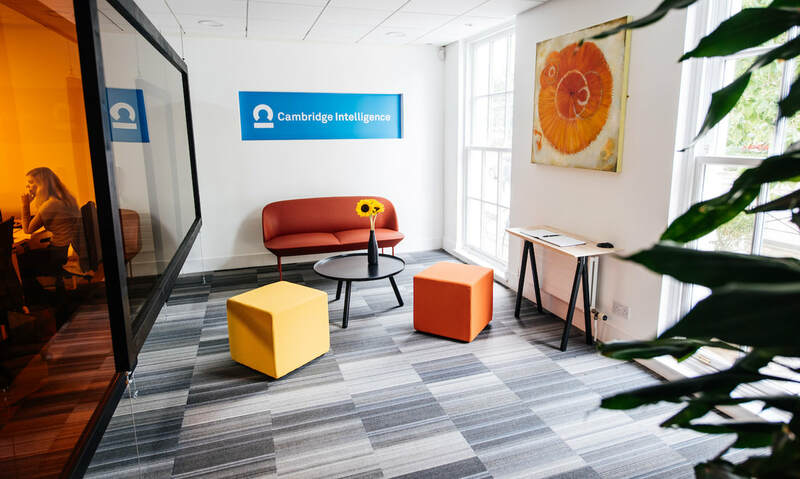 There are more natural tones in desk areas, and clever pops of colour in comfy, relaxing breakout spaces, so gives an opportunity to take time out on a sofa when we feel the need. 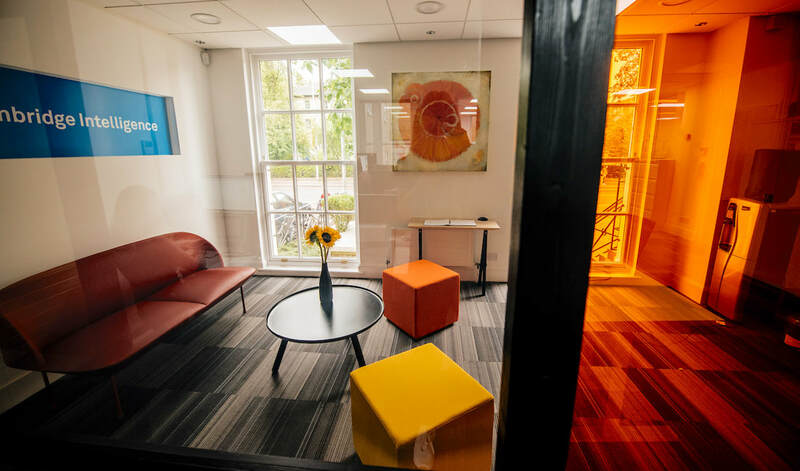 Separating reception from the team working areas with large glass panels helps waiting visitors feel welcome but not isolated. It also gives the team a little privacy without losing light.